Amy Kennedy is a partner in the London office of Gibson Dunn, and an English qualified lawyer. She is a member of the Global Finance and Private Equity Practice Groups, and has practised in Gibson Dunn’s London, New York and Dubai offices. Ms. Kennedy has broad experience in a wide range of international and cross-border banking and restructuring transactions, with particular expertise in leveraged acquisition finance, investment grade and corporate lending, and distressed and restructuring transactions. She has represented top-tier private equity sponsors in leveraged buy-outs, a range of banks and other financial institutions (including non-bank alternative capital providers), and corporates (including PLCs) and client portfolio companies. Ms. Kennedy has worked across a number of sectors including real estate, telecommunications and oil and gas. Ms. Kennedy has experience with complex senior / mezzanine / second-lien structures, PIK lending, high yield, unitranche/ private placement and US financings. Ms. Kennedy also represents both banks and corporates in Islamic / Shari’ah based lending, including co-conventional structures. 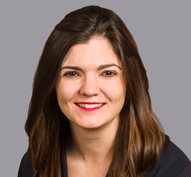 Prior to joining Gibson Dunn, Ms. Kennedy was a senior associate in the European finance practice at Weil, Gotshal & Manges. Prior to that, she was an associate in the finance practice at Skadden, Arps, Slate, Meagher & Flom (UK) LLP. In 2019 Ms. Kennedy was identified by the Lawyer as one of their “Hot 100”, she is recognised in Legal 500 UK 2019 for Acquisition Finance and Bank lending: investment grade debt and syndicated loans. She is also ranked as a Rising Star in IFLR1000 2019 for Banking. William Hill on the financing arrangements of its agreement with NeoGames to develop and supply a Player Account Management System for William Hill’s proprietary US betting and gaming platform. Fremont Realty Capital on its financing arrangements for the acquisition of Porthaven Care Homes Group. Financing arrangements in connection with a real-estate portfolio acquisition (and subsequent disposal) by Apollo. Abu Dhabi Investment Bank in connection with certain financing arrangements (including Shari’ah and co-Shari’ah/conventional financings). PT Medco in connection with certain RBL facilities. Investcorp in connection with the refinancing of one of its portfolio companies. Investcorp on its sale of GL Education to Levine Leichtman Capital Partners. Kindred Group plc. on its financing arrangements for the acquisition of 32Red plc. A UK listed PLC on its financing arrangements (including in connection with an IPO and subsequent refinancing). William Hill on its financing arrangements for the acquisition (and subsequent disposal) of OpenBet. Navios Maritime Partners in connection with certain affiliate transactions and related financing arrangements. Neuberger Berman in connection with certain financing arrangements. Xylem Inc. on its financing arrangements in connection with various acquisitions. Iason Hellenic in connection with the refinancing of certain of its financing arrangements. Miami’s Crescent Heights on its financing arrangements for the acquisition of Vintners’ Place. Taghleef on its Term Loan B financing arrangements. Dubai pay-TV firm OSN in connection with its syndicated term loan and revolving credit facilities. WellTower on the financing of the acquisition of Signature Care Home. Bain Capital Credit on their investment in the refinancing of Humana AB. * Experience prior to joining Gibson Dunn. Client Alert - September 11, 2018 | Transfer Restrictions – A Delicate Balance? Client Alert - June 5, 2017 | ECB Leveraged Lending Guidance – Too Late to (the) Party? Client Alert - June 21, 2016 | What Happens If the United Kingdom Votes to Leave the European Union? Client Alert - May 4, 2016 | EU Bail-in – Bad News for Banks but Not for Direct Lenders?